Can I be taxed on a timeshare gift? Timeshare companies offer gifts and incentives to attract people to attend a presentation. These gifts are usually discounts, complimentary meals, free tours and excursions, and can sometimes be physical gifts like bikes, boxes of wine and so forth. In these cases, there is no need to pay tax on these gifts. Some these companies give cash as an incentive to attend a presentation which can be a grey area when it comes to tax. However, usually the amount given is below any taxable threshold, although you should check your tax status if you are concerned. It is not that common for a timeshare developer to offer cash, and frequently, any monetary incentives are usually redeemable against the purchase of the timeshare or a vacation accommodation rental. 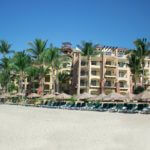 Share the post "Can I be taxed on a timeshare gift?"